The books listed below are the books, most Nigerians B3tween the age of 15 - 80 have read, you might not have read all these books but at least you should be familiar with one or two of them. 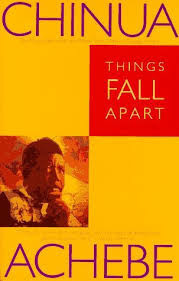 Things Fall Apart is a post-colonial novel written by Nigerian author Chinua Achebe in 1958, the first of its kind to receive global acclaim .It is a staple book in schools throughout Africa and is widely read and studied in English-speaking countries around the world. It follows the story of a man called okonkwo.leade r and local wrestling champion in the fictional Nigerian village of Umuofia. The work is split into three parts, the first describing his family and personal history, the customs and society of the Igbo, and the second and third sections introduce the influence of British colonialism and Christian missionaries on the Igbo community. 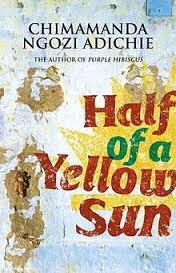 Half of a Yellow Sun is a novel by Nigerian author Chimamanda Ngozi Adichie. the novel tells the story of the Biafran War through the perspective of the characters Olanna, Ugwu, and Richard.was listed as one of New York Times Most Notable Books of 2006. Like all autobiographi es, Aké records interesting anecdotes, childhood adventures, and fond memories of friends and numerous relatives. However, what stands out in the narrative is the child’s perspective of the illogicality of the adult world.Wole Soyinka was a bright, curious child and his account of his early childhood in the town of Abeokuta in Western Nigeria is enchanting. He writes with his adult voice, but maintains the child's perspective and understanding throughout, the one exception a nostalgic contrasting of street-fronts then and now. 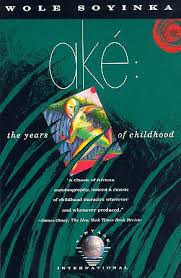 Events are not always joyful — most obviously the harsh treatment of a mentally ill woman and the death of a sibling — but Aké is ebullient, full of the excitement of new discoveries and opportunities, a celebration of the wonders of childhood. Nigeria has had a series of constitutions . 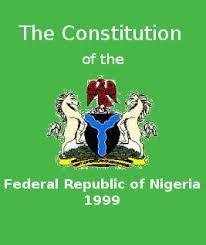 The current constitution was enacted on 29 May 1999, the constitution was converted into ebooks and apps for java, blackberry and android users, thereby making more people have access to it and many Nigerians reading it.